Contingent on inspections. Split plan with soaring ceilings & a view of the nature preserve! 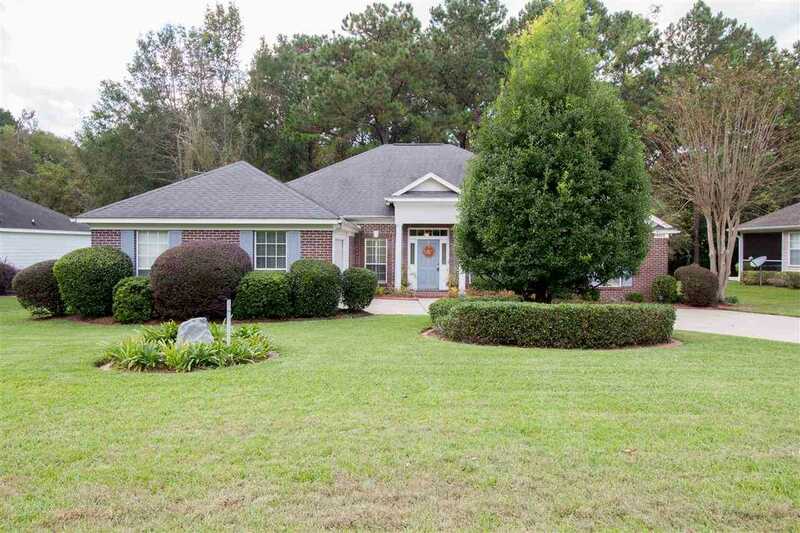 4BR/3BA home with room for everyone. Foyer is flanked by a formal living room & dining room. Great room/family room is open to kitchen and a large, peaceful screened porch. Great flow for entertaining. Kitchen features exceptional storage, a walk-in pantry, Corian countertops, and a bright breakfast nook. Retreat to a spacious master suite, complete with a view of the nature preserve, bath with large tub and separate oversized walk-in shower, plus a large walk-in closet. This home is bright and cheerful with high ceilings and lots of natural light throughout. Plantation shutters, engineered hardwood floors, and attractive mill work, trim & molding. Lovely neighborhood offers a community pool, fishing lake, playground, trails & more - just minutes from downtown. SchoolsClick map icons below to view information for schools near 871 Eagle View Drive Tallahassee, FL 32311.